HERNDON, Va. (November 13, 2018) - DLT Solutions, the premier government aggregator, is proud to announce it has been named the Public Sector Partner of the Year by Red Hat, the world's leading provider of open source solutions. This award recognizes the Red Hat partner that has experienced the greatest growth and had the most significant impact on Red Hat's business. DLT Solutions received this award at Red Hat's North America Partner Conference at the National Harbor in Maryland. DLT is proud to be recognized as Red Hat’s Public Sector Partner of the Year," said DLT President, Brian Strosser. "As Red Hat's longest standing Public Sector partner and recently being named as a Red Hat Certified Cloud Service Provider, DLT continues our commitment to be a leader in supporting the open source community and working with our partners and the Public Sector to transform and modernize IT systems within the Government." As Red Hat's largest government reseller, DLT provides agencies with the world’s most trusted open source technologies. DLT provides services and support for Red Hat’s innovative cloud, Linux and middleware solutions through strategic contracts including GSA Schedule, SEWP V, DoD ESI and NIH CIO-CS. "The Red Hat team at DLT is incredibly proud of this accomplishment," commented DLT Senior Director of Enterprise Platforms, Danny Climo. "In addition to this award, DLT was also recognized as the Red Hat Public Sector Training Partner of the Year earlier this month. These awards are a direct result of all of the hard work delivered across both our teams, and we look forward to the continued growth of our partnership." Learn more about how DLT and Red Hat are accelerating the adoption of open source technologies in the public sector at dlt.com. Established in 1991, DLT accelerates public sector growth for technology companies in the federal, state and local, education, utilities and healthcare markets. As the premier government solutions aggregator, DLT creates value for technology companies by enabling their public sector customers to make smarter technology choices. We provide access to a robust network of partners, a broad portfolio of over 40 in-house contract vehicles, and dedicated channel enablement services. 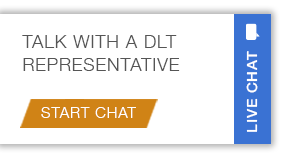 Visit dlt.com to learn more.